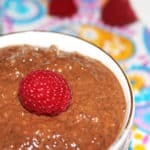 Chocolate Chia Raspberry Pudding. My new favorite superfood is chia, and I add chia seeds to many recipes to increase the nutritional value of the dish. 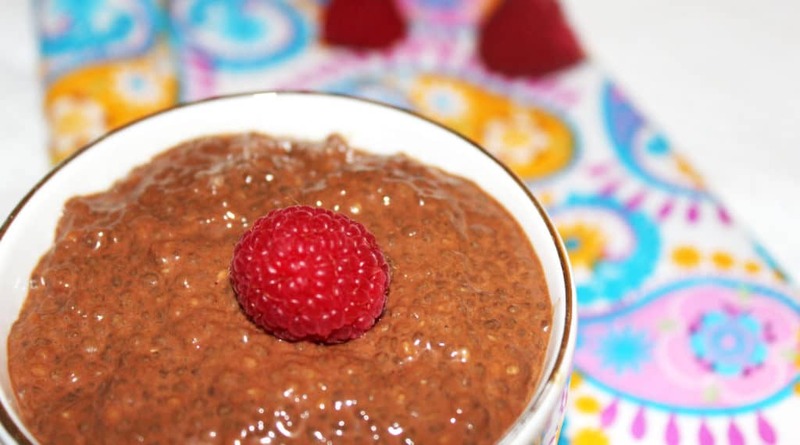 This chia pudding is perfect for dessert, or as the base for breakfast bowls. I mix the flavors up with different spices or different fruits for a low glycemic dish packed with fiber, protein, anti-oxidants and vitamins. 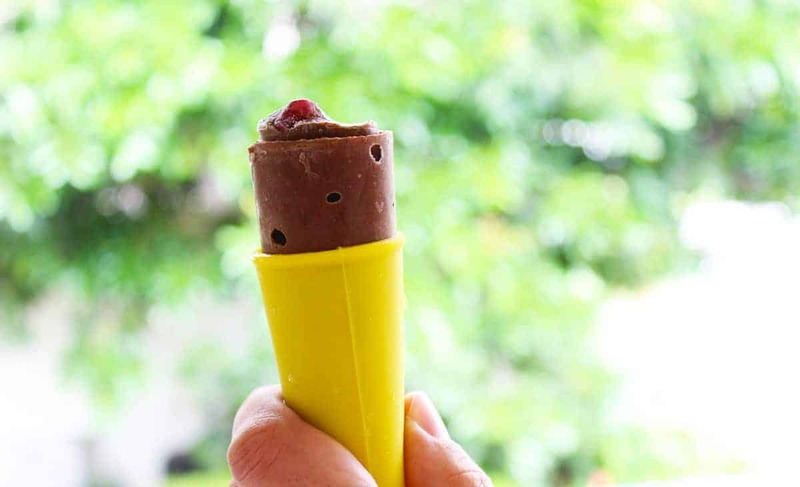 For summer, you can freeze the pudding to create these refreshing pudding pops. Vegan, gluten free, dairy free. Mix all ingredients in glass jar with a top. Shake for a minute and let it set for at least an hour.